Something for everyone - climbs vary from easy to challenging! Chilkoot High Adventure Base Instructors ensure safety and fun for everyone! Glacier ice offers unique and ever changing climbing! This course is designed to give scouts a hands-on introduction to ice climbing. Building solid climbing skills and confident climbers is the main focus. 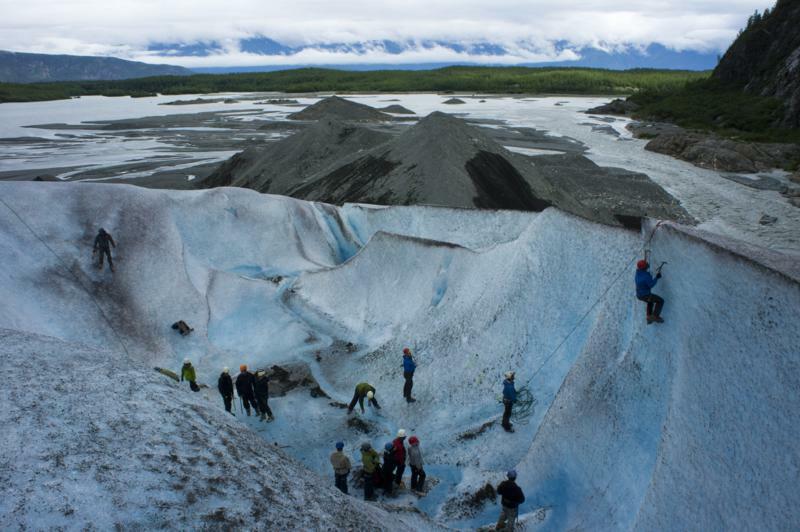 The course is conducted in the heavily glaciated mountains surrounding Haines. This is ideal terrain to practice and hone climbing skills amidst a spectacular alpine backdrop! 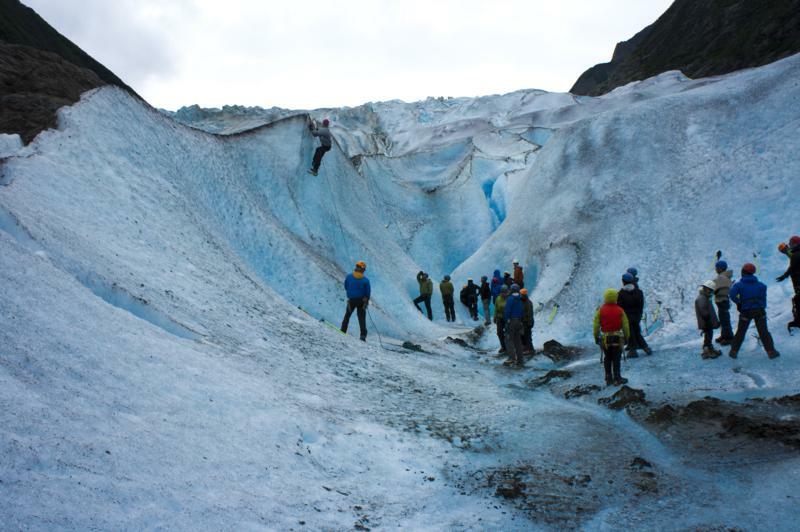 Glacier’s offers an incredible variety of ice formations to explore. Tall ice seracs, moulins, and crevasses all offer unique terrain to climb and explore. 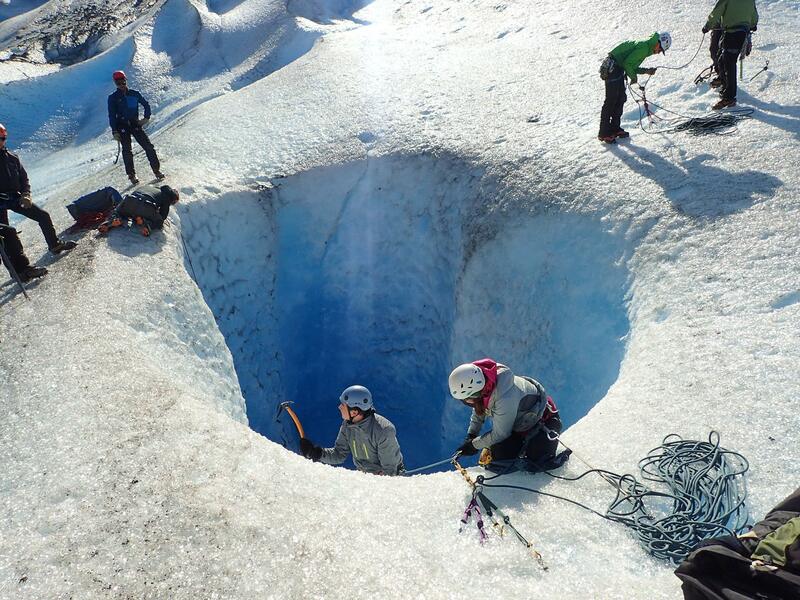 Groups will learn to use technical equipment such as ice axes and crampons, and trek across the glacier exploring the myriad features. We’ll make our way to steeper walls and seracs to challenge the team and hone our ice climbing skills.